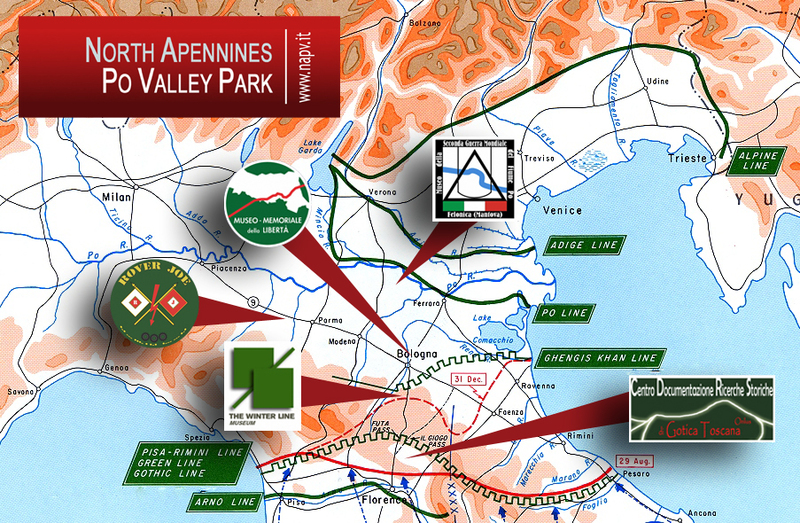 The North Apennines – Po Valley Park (NAPV) is a WWII theme park created in 2012 to preserve the Memory of an often forgotten phase of that conflict: the Italian campaign after the liberation of Rome. 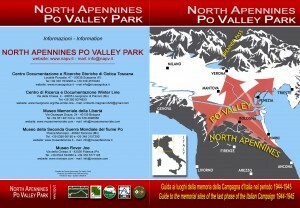 NAPV is the result of the joint effort by the Gotica Toscana NPA Documentation and Historical Research Center of Ponzalla di Scarperia, near Firenze, the WWII Museum of the Po River of Felonica, near Mantova, the Liberation Memorial Museum of San Lazzaro di Savena, near Bologna, and the Winter Line Museum of Livergnano, in the Apennines region. 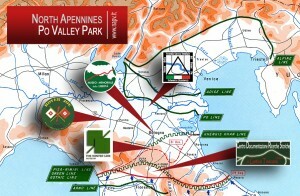 These four exhibition and research centers are placed along the main axis of advance of the Allied armies during the “North Apennines” and “Po Valley” campaigns, hence the chosen name. In 2016 the Rover Joe Musuem of Fidenza, near Parma, has joined the network enhancing the cultural offer. The NAPV also constitutes a network of museums and research facilities dedicated to the promotion of guided historical tourism for an international audience. 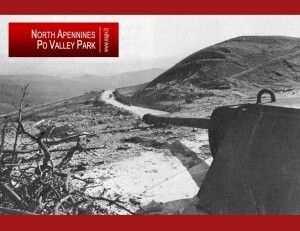 With the help of expert staff, scholars, researchers, visitors and schools, will find multimedia sources, as well as displays and collections of original objects, to further their knowledge of the war in Italy and the people and soldiers who lived through it.